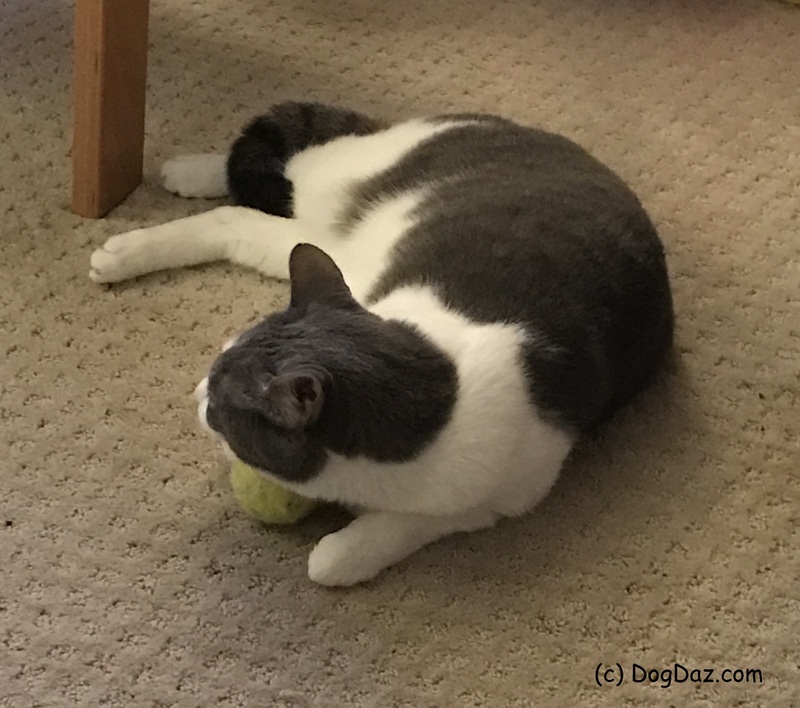 Nine has taken a fancy to the dog’s tennis ball.I don’t know if this was an act of defiance (it’s yours so I am taking it), a true act of comfort (cats sleep on the darnest things), or pure silliness (because he loves to make us laugh). Knowing Nine, it was a combination of all three. I had no clue that a Mr. Wilson makes a pillow too… I like the idea… we have siting-balls why we shouldn’t have pillow-balls? Ha! Oh, Nine. You should’ve been born a dog! No way. I jump much higher and get to roll around in catnip.